The National Cyber Security Index is a global index, which measures the preparedness of countries to prevent cyber threats and manage cyber incidents. The NCSI is also a database with publicly available evidence materials and a tool for national cyber security capacity building. 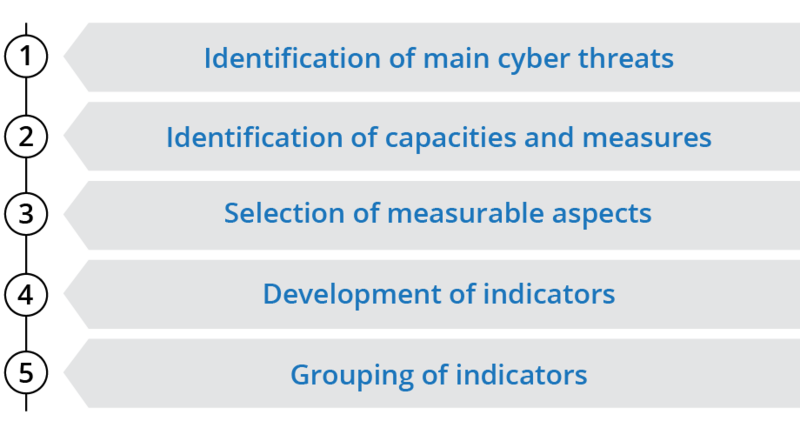 Our vision is to develop a comprehensive cyber security measurement tool that provides accurate and up-to-date public information about national cyber security. In the coming years, the NCSI team will develop different applications for national cyber security analysis and development. These threats directly affect the normal functioning of national information and communication systems and, through the ICT systems, electronic services (including critical e-services). 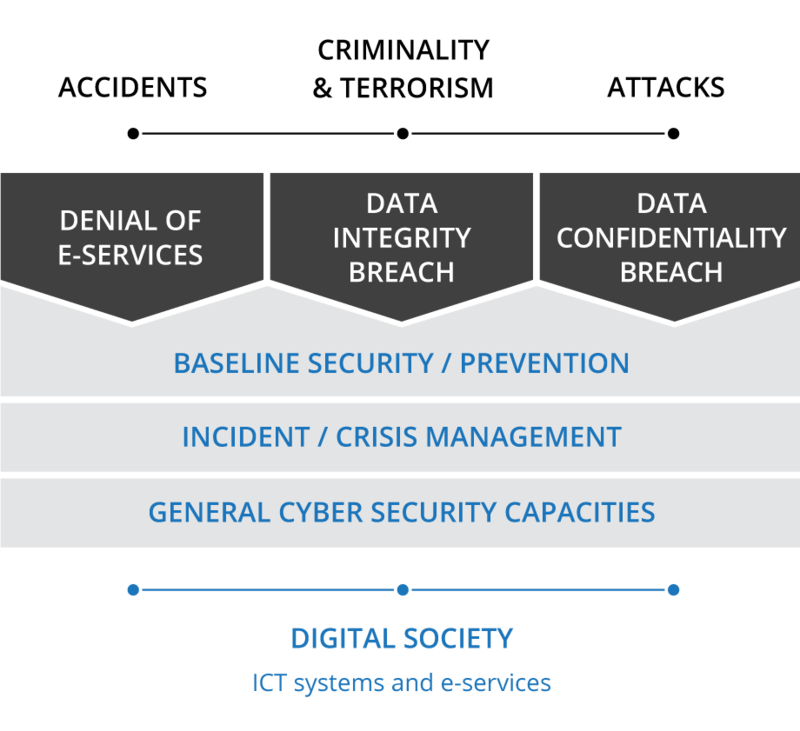 In order to manage these cyber threats, a country must have appropriate capacities for baseline cyber security, incident management, and general cyber security development. 1. Legislation in force – legal acts, regulations, orders, etc. 2. Established units – existing organisations, departments, etc. 3. Cooperation formats – committees, working groups, etc. 4. Outcomes – policies, exercises, technologies, websites, programmes, etc. The NCSI Score shows the percentage the country received from the maximum value of the indicators. The maximum NCSI Score is always 100 (100%) regardless of whether indicators are added or removed. In addition to the NCSI Score, the index table also shows the Digital Development Level (DDL). The DDL is calculated according to the ICT Development Index (IDI) and Networked Readiness Index (NRI). The DDL is the average percentage the country received from the maximum value of both indexes. The Difference shows the relationship between the NCSI score and DDL. 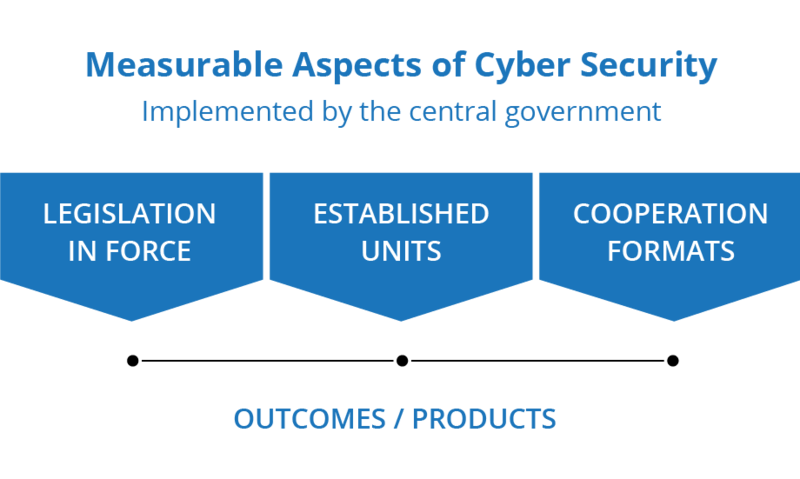 A positive result shows that the country’s cyber security development is in accordance with, or ahead of, its digital development. A negative result shows, that the country’s digital society is more advanced than the national cyber security area. Several ways are used to collect data for the index. The method is indicated on the NCSI website. When data collection is complete, the provided information is reviewed by at least two NCSI experts. After inspection, the dataset is published on the NCSI website. 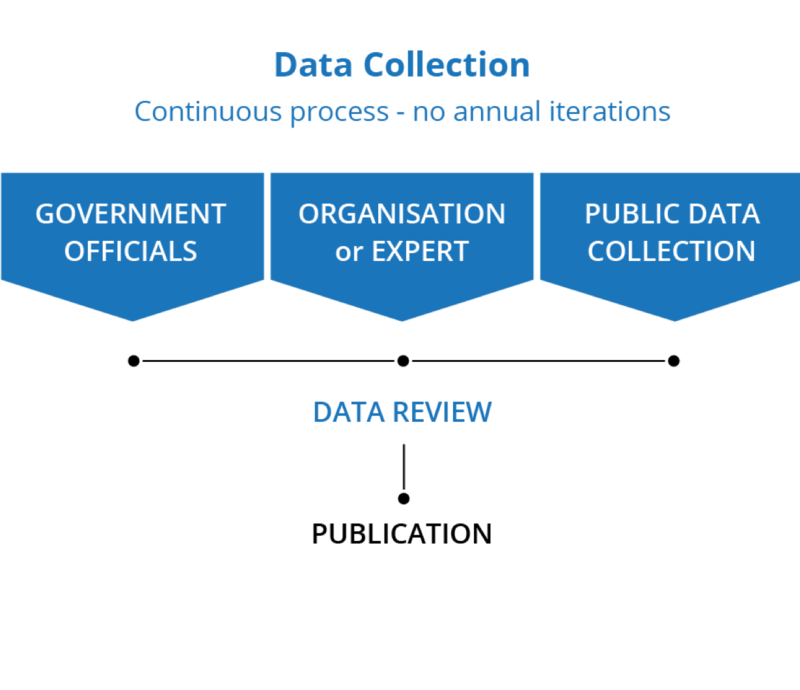 Data collection, review and publication is a continuous process. We do not publish annual iterations. When new evidence is provided, it will be assessed and if it is grounded, the necessary changes in the ranking list will be made immediately.